Photo: NASA Goddard Space Flight Center. To mark International Day for the Preservation of the Ozone Layer we bring you a story about a new study that elucidates which parts of the world are particularly sensitive to the creation of ozone, and which individual flights created the most of this greenhouse gas. As noted by UN Secretary-General Ban Ki-moon in his message to honour this day, a generation ago “the world’s nations agreed to act definitively to protect the ozone layer, initiating an intergovernmental process that blazed new trails”. Indeed “the remarkable success story of the Montreal Protocol on Substances that Deplete the Ozone Layer… provides protection for the ozone layer, significantly contributes to climate mitigation and reminds us that, faced with existential threats, the nations of the world are capable of cooperation for the common good”. In our time of ever more such threats, we certainly need to appreciate and build upon this success and every bit of science that helps us strive for even greater achievements. Scientists have found that emissions from aircraft overflying part of the Pacific are causing the highest production of ozone, a short-lived greenhouse gas. If you’re planning on taking a flight but you’re worried about the volume of greenhouse gas emissions your aircraft journey will cause, don’t — whatever you do — fly to or from Australia or New Zealand. A team of researchers from Massachusetts Institute of Technology (MIT) used a global chemistry/transport model to find out which parts of the world are particularly sensitive to the creation of ozone. They then investigated which individual flights created the most ozone. Results of the MIT research which are published in the journal Environmental Research Letters show that an area of the Pacific, about 1,000 km east of the Solomon Islands, is the most sensitive to aircraft emissions. The study found that in this region one kilogram of aircraft emissions results in an extra 15 kilograms of ozone being produced over a year, a figure five times higher than the sensitivity in Europe and nearly four times that in North America. But a large part of Australia, South-East Asia and an area stretching right across to Madagascar off the east cost of Africa are also rated as being highly sensitive to emissions. Ozone is a potent but short-lived greenhouse gas with comparable short-term effects to those of carbon dioxide, produced when emissions of oxides of nitrogen (NOx) — such as nitric oxide and nitrogen dioxide — interact with sunlight. Ozone’s production and destruction is therefore heavily dependent on the particular state of the atmosphere, and its effects are localised — felt in specific regions at specific times. More than 80,000 individual flights around the world were analysed. The researchers found that the 10 highest ozone-producing flights either originated in, or were destined for, New Zealand or Australia. Top of the league for the highest amount of ozone generated — 25,300 kilograms worth — is a flight from Sydney to Mumbai. Other high-scoring flights include Sydney-Honolulu, Auckland-Seoul and Brisbane-Bangkok. Steven Barrett, the lead author of the study, told Climate News Network that the amount of ozone produced by flights alters depending on the time of the year — with the autumn period causing the most ozone pollution. “There have been many studies of the total impact of civil aviation emissions on the atmosphere but there is very little knowledge of how individual flights change the environment,” says Barrett. But while this might mean less ozone, it would mean more of another greenhouse gas being emitted into the atmosphere. “Of course, longer flights are going to burn more fuel and emit more CO2, so there will be a trade-off between increasing flight distance and other climate impacts, such as the effect of ozone,” says Barrett. 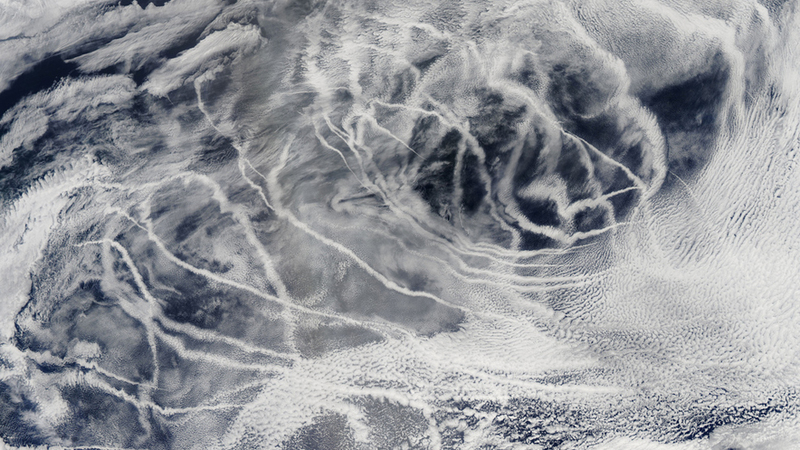 Trans-Pacific Flights Produce Most Ozone by Kieran Cooke is licensed under a Creative Commons Attribution-NonCommercial-ShareAlike 3.0 Unported License. Permissions beyond the scope of this license may be available at http://www.climatenewsnetwork.net/.